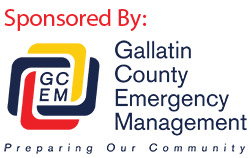 Bozeman, MT – On October 27th Gallatin County’s All Hazard All Discipline Group accepted an annual update on flood mitigation work as part of the Community Rating System renewal currently underway by Gallatin County. This update provided an overview of the progress made on flood related projects identified in the county’s Hazard Mitigation Plan which is also scheduled to be updated in 2017. The Community Rating System requires this update to be distributed to local media.